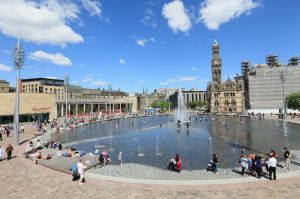 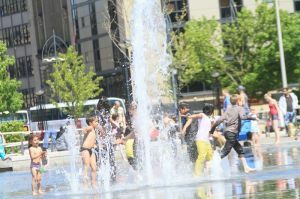 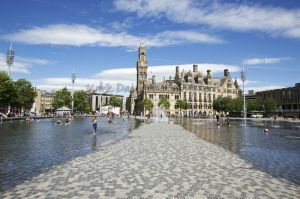 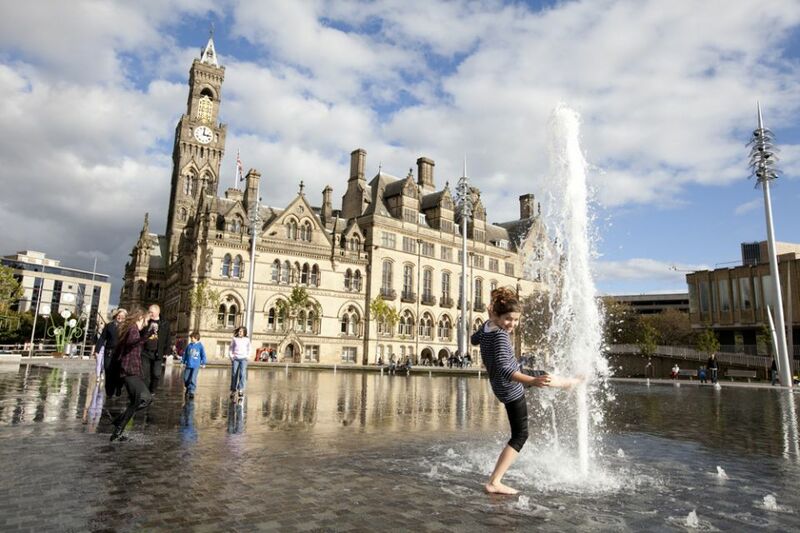 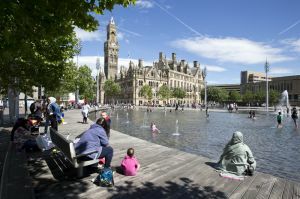 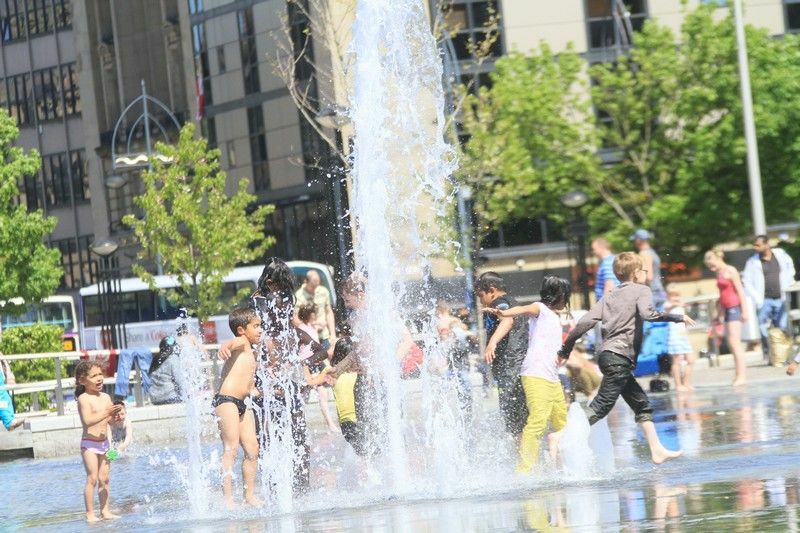 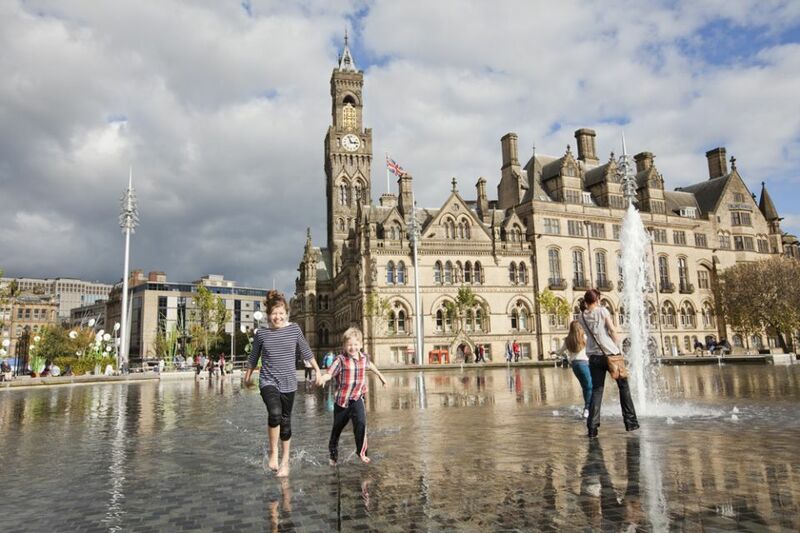 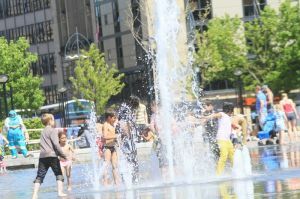 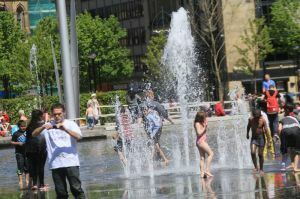 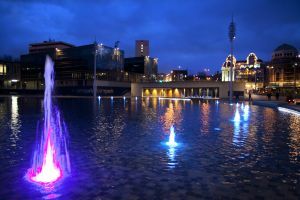 City Park is a high-quality, six-acre public space in the heart of Bradford which contains the largest man-made water feature in any UK city. 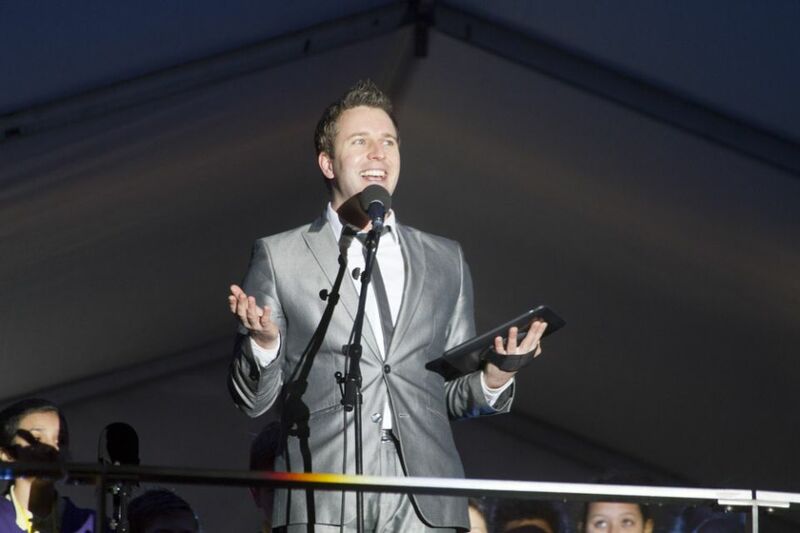 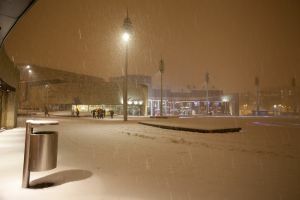 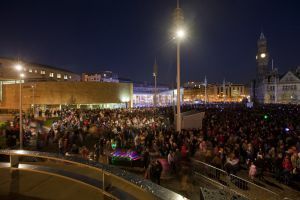 A grand opening was held in March 2012 and attended by tens of thousands of people. 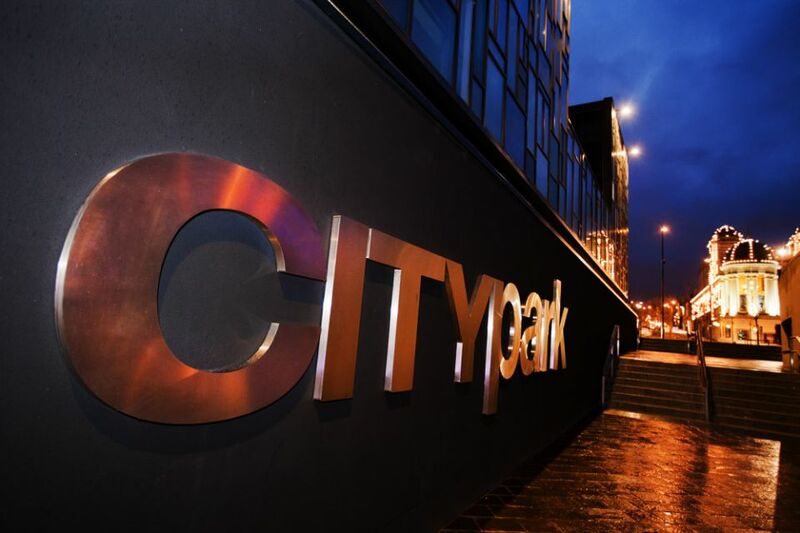 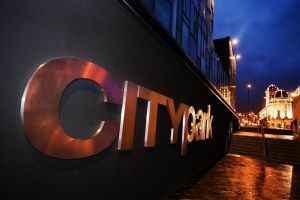 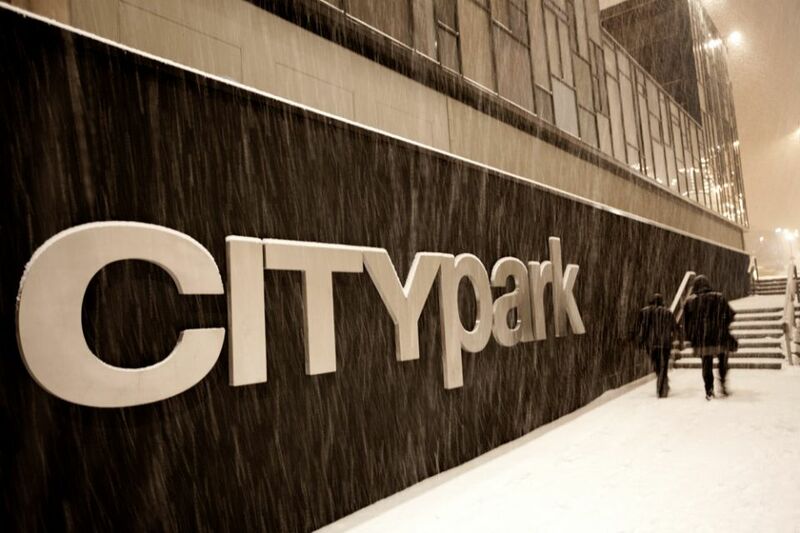 City Park provides a superb landscape comprising fountains, trees and attractive green spaces making an ideal environment for walking, relaxing and quiet contemplation. 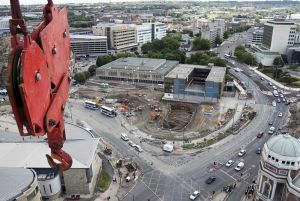 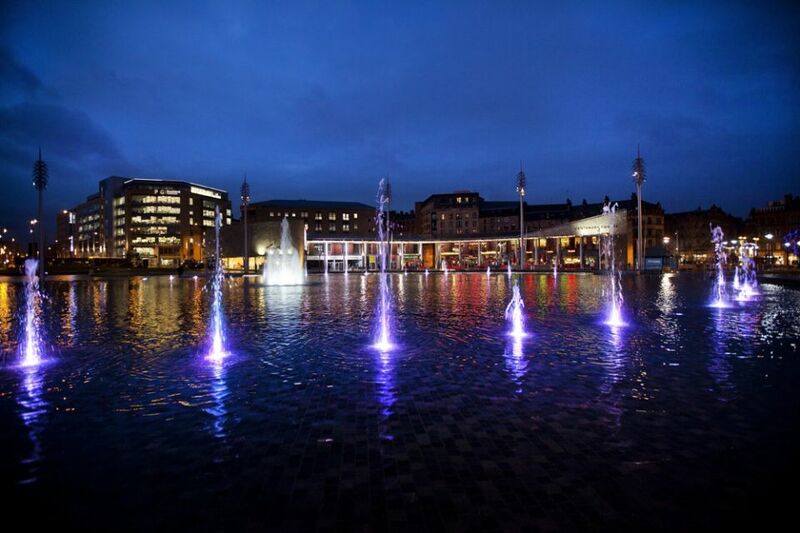 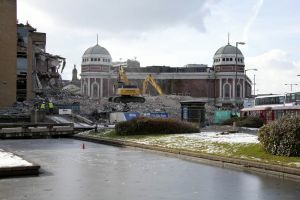 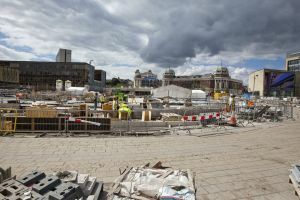 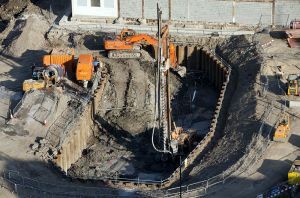 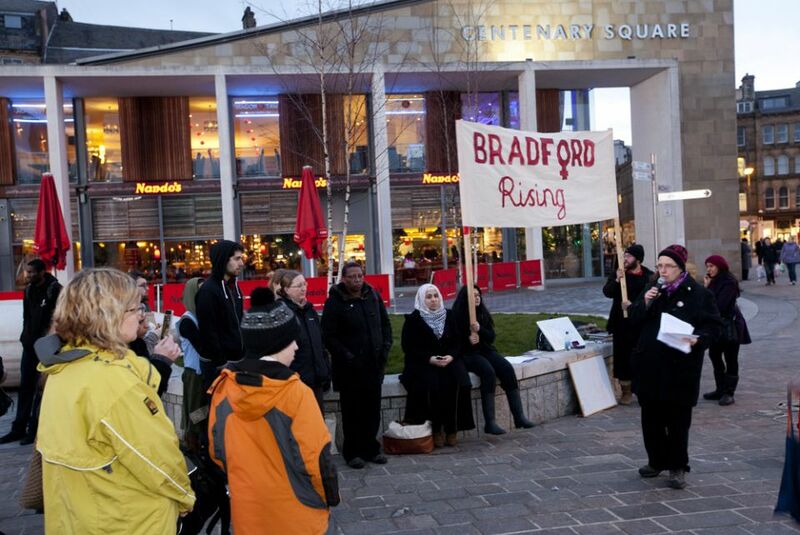 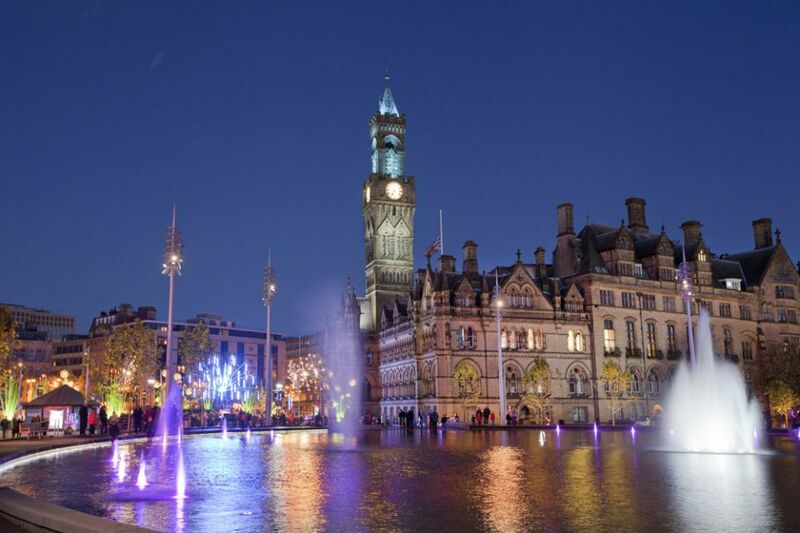 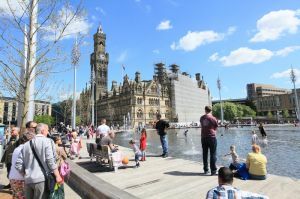 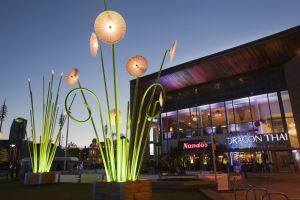 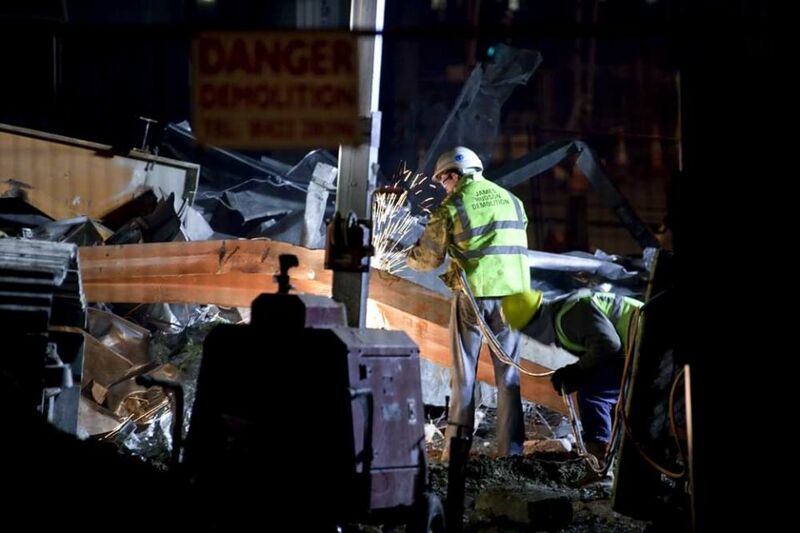 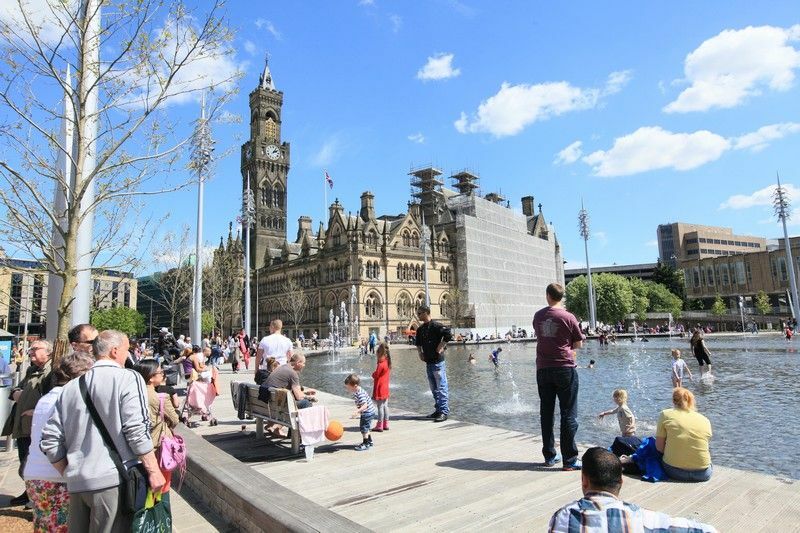 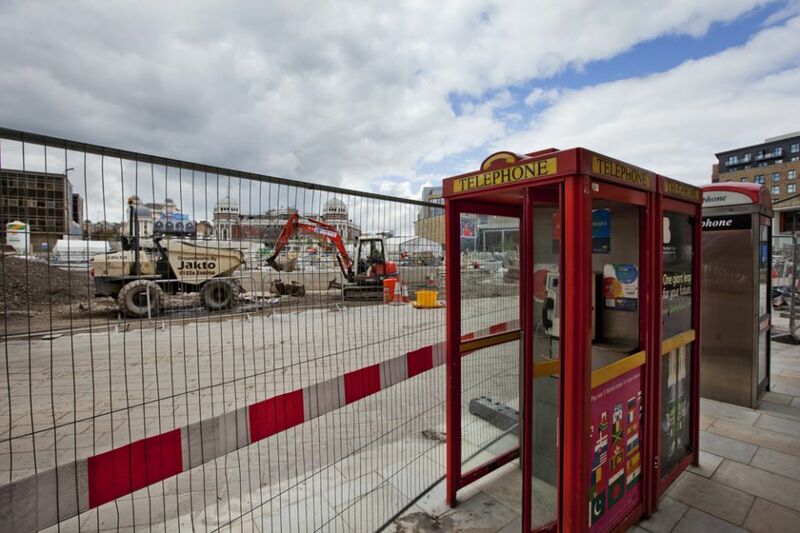 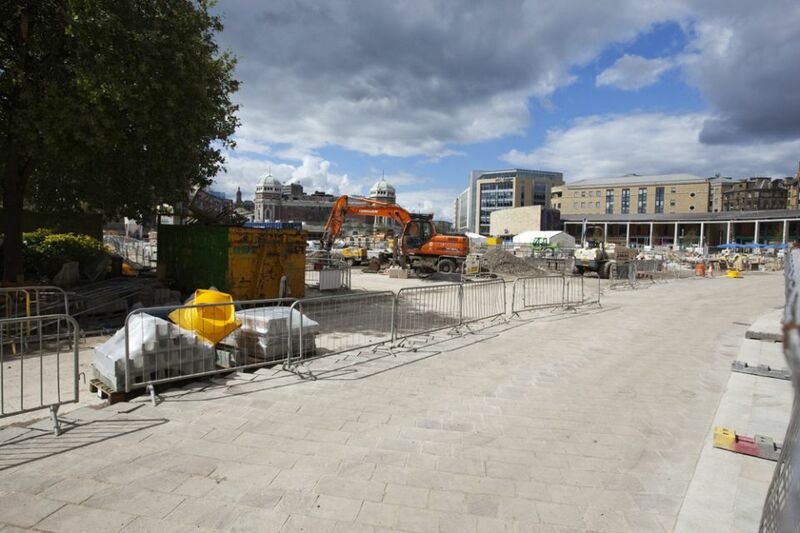 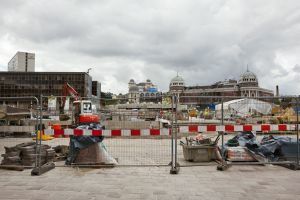 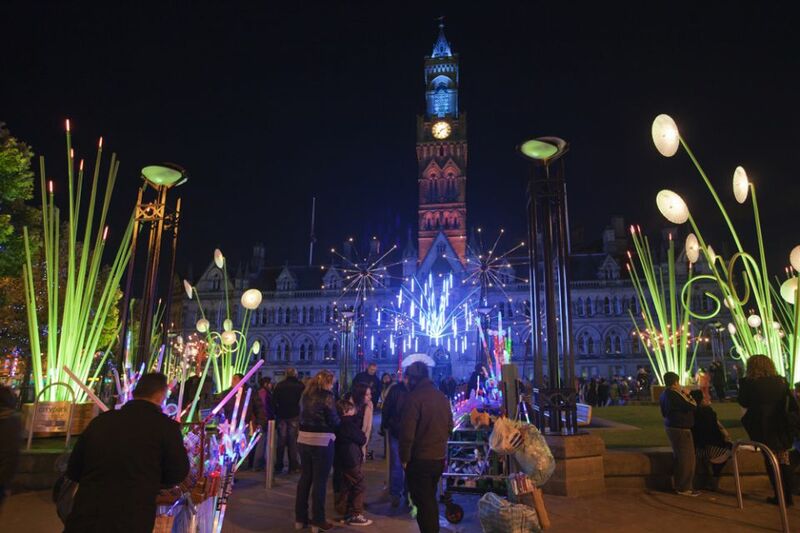 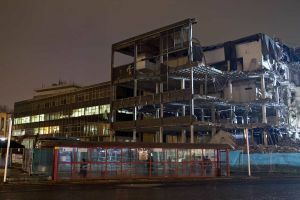 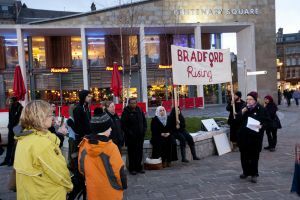 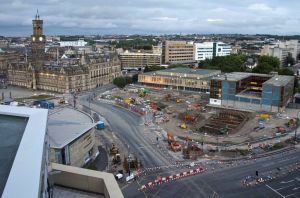 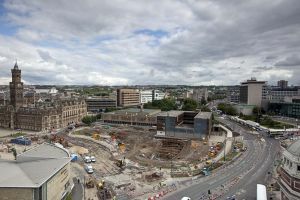 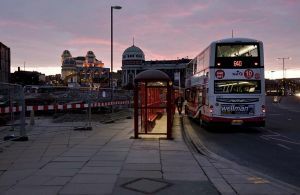 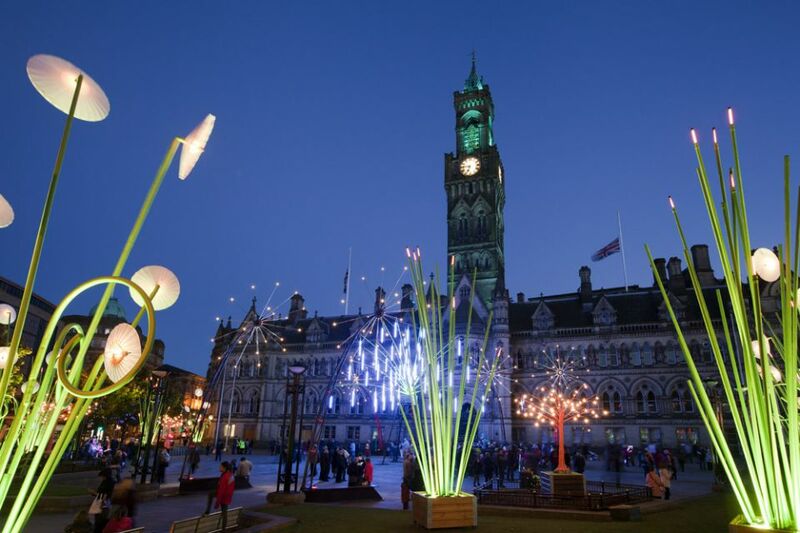 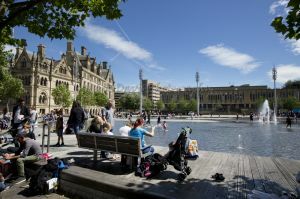 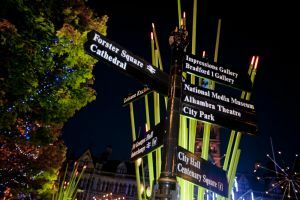 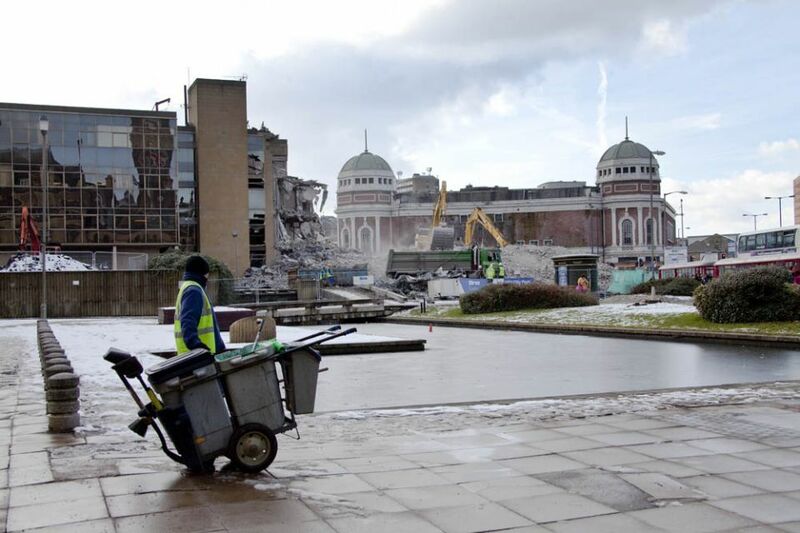 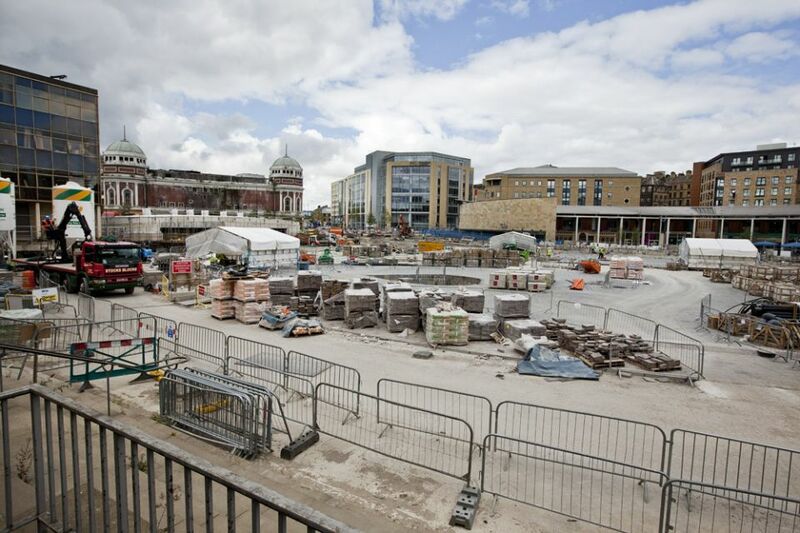 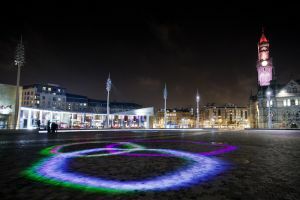 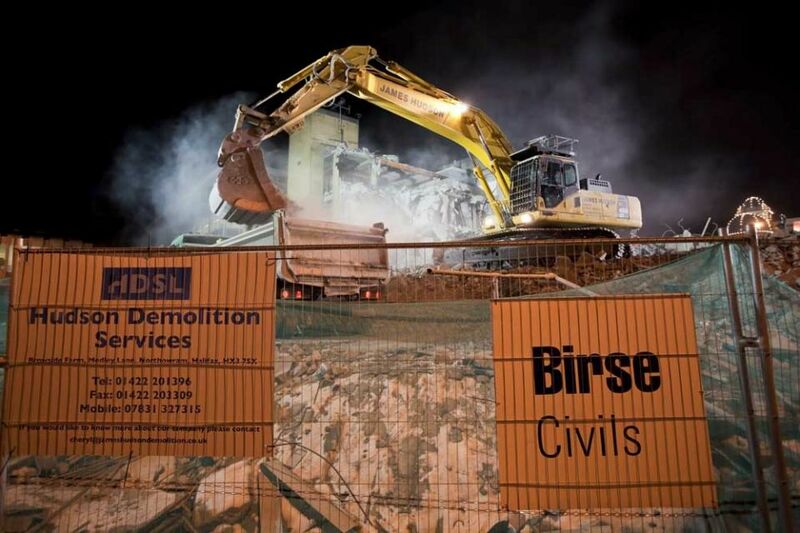 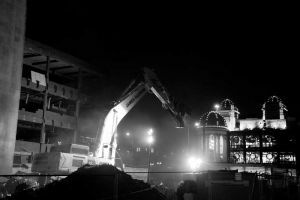 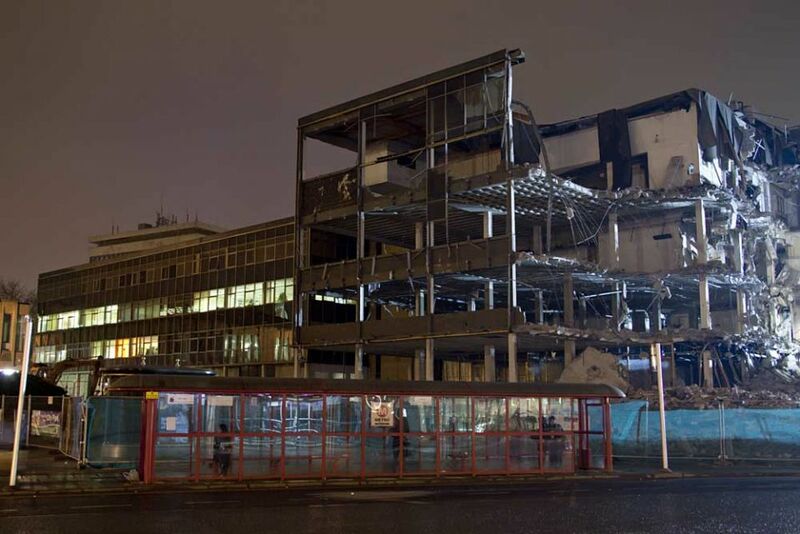 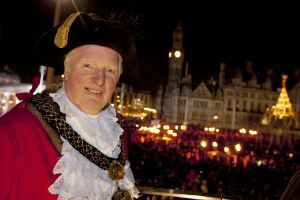 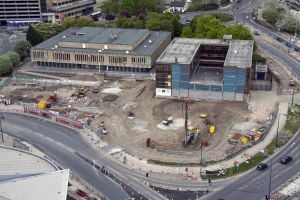 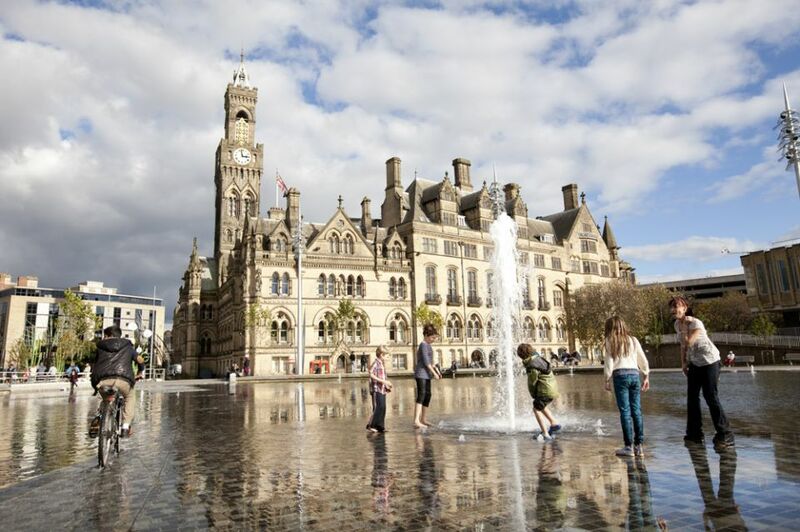 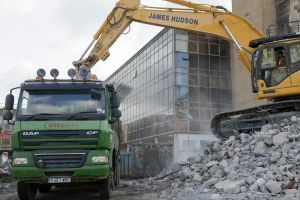 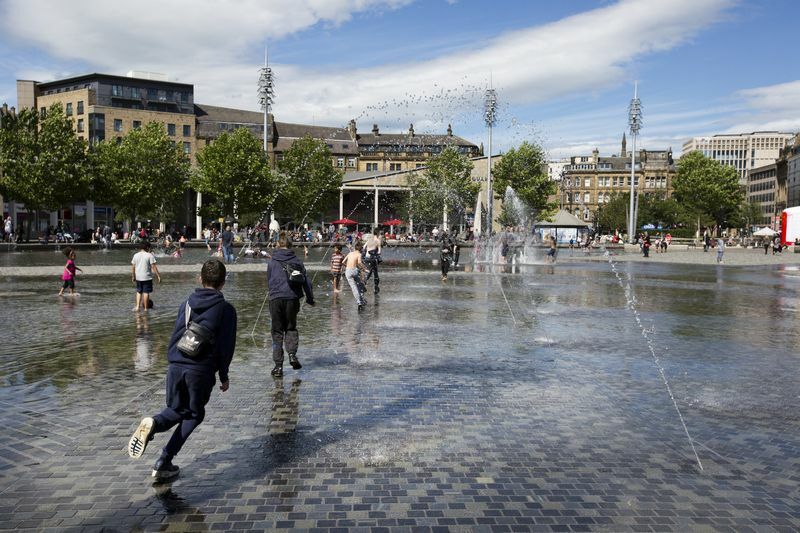 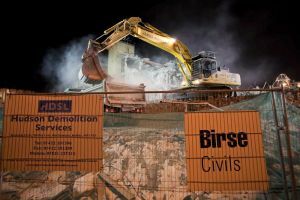 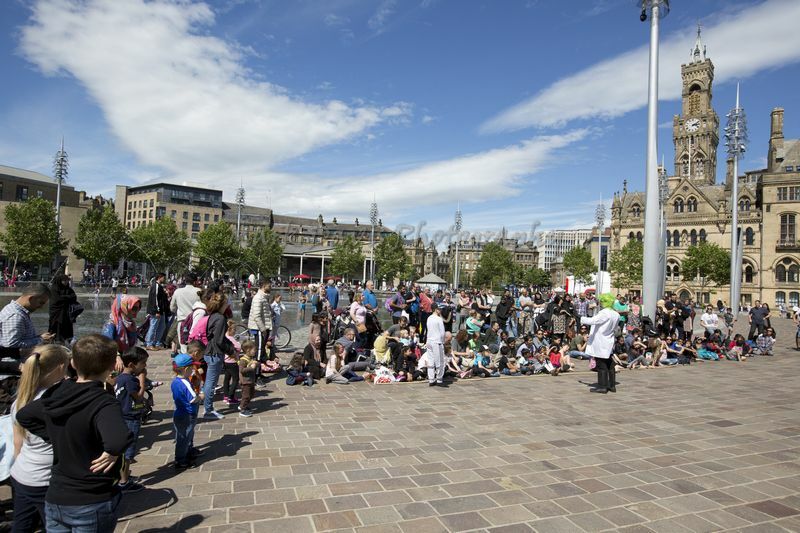 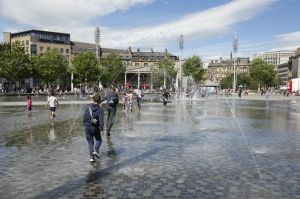 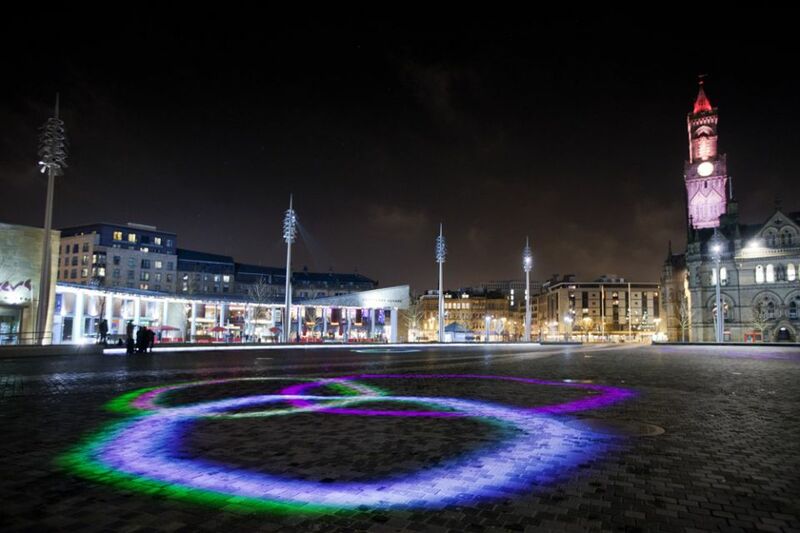 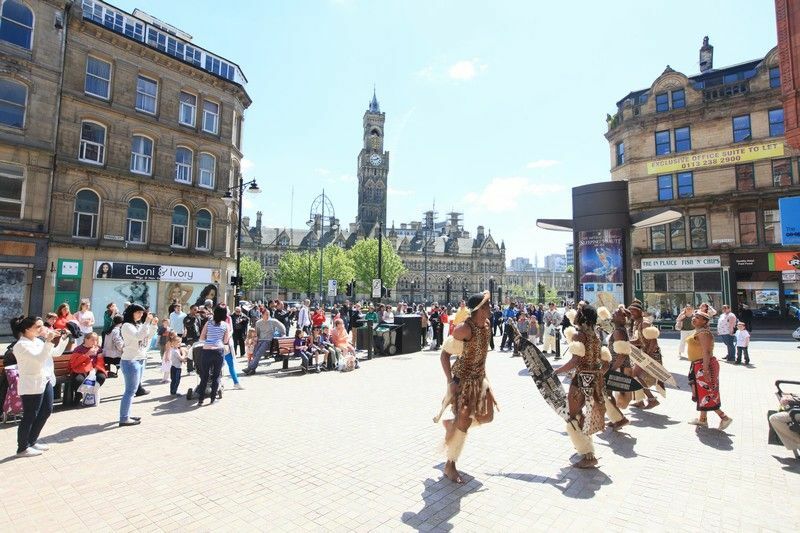 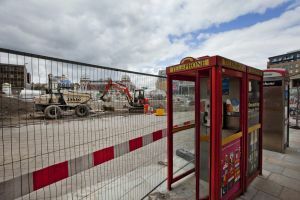 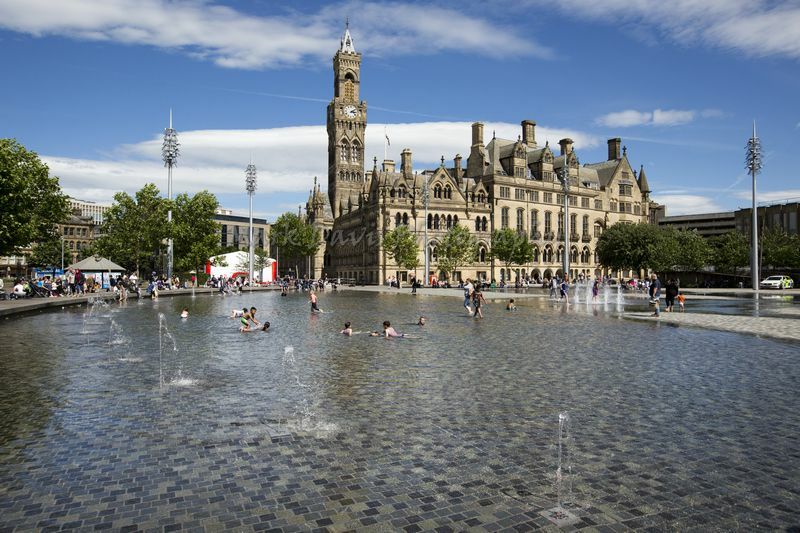 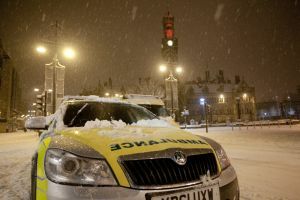 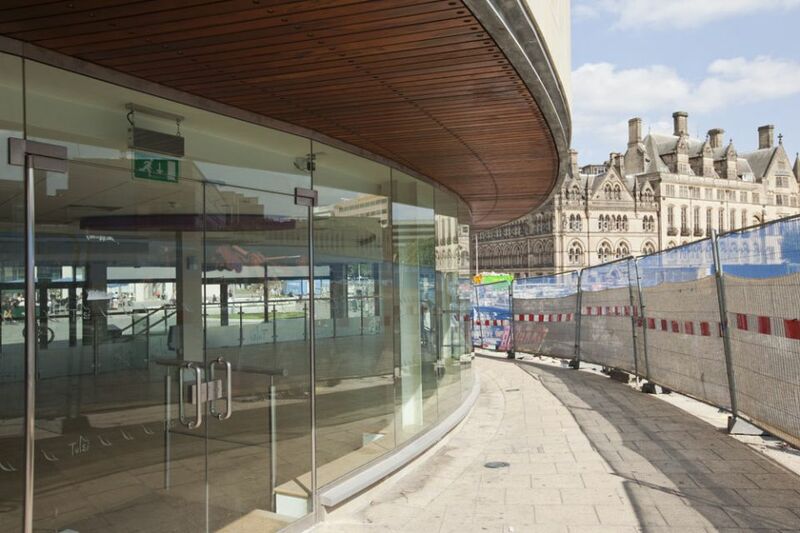 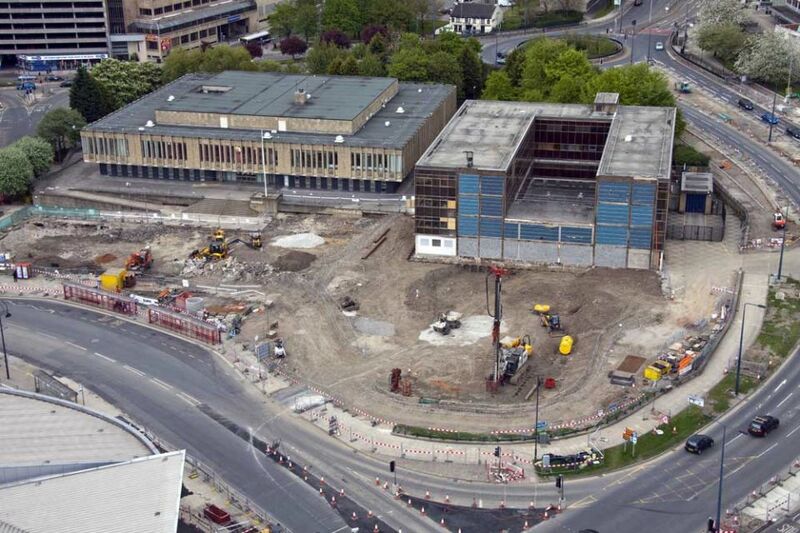 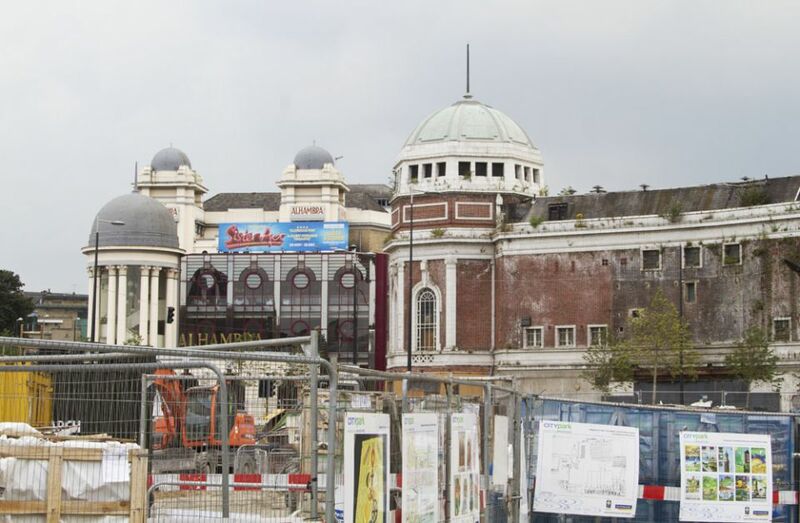 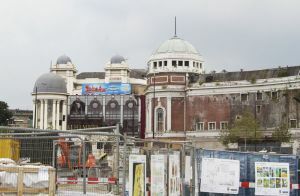 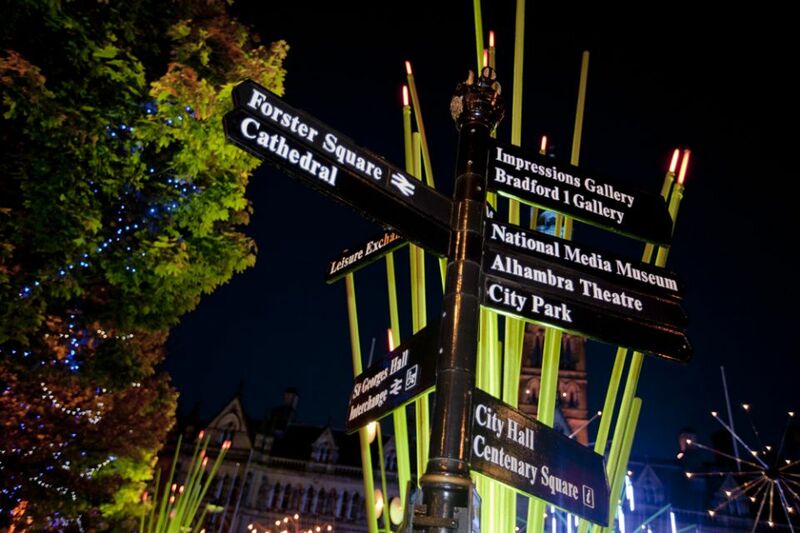 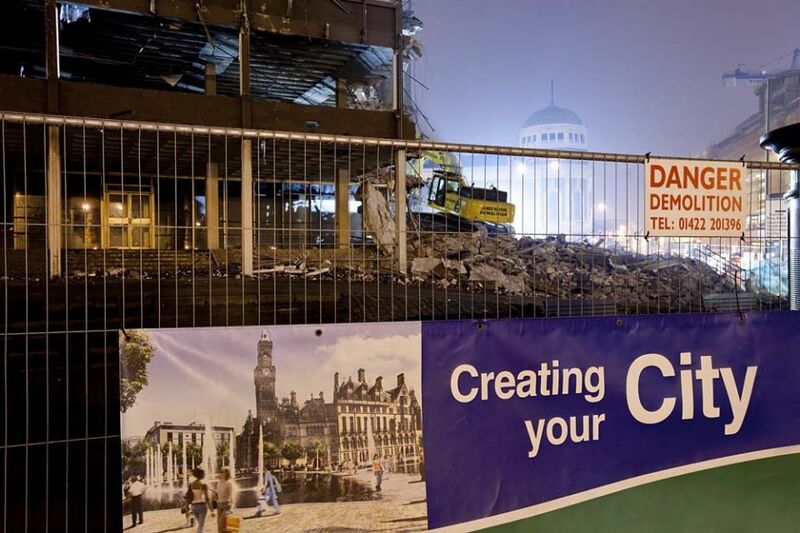 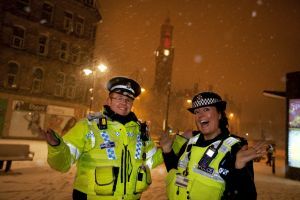 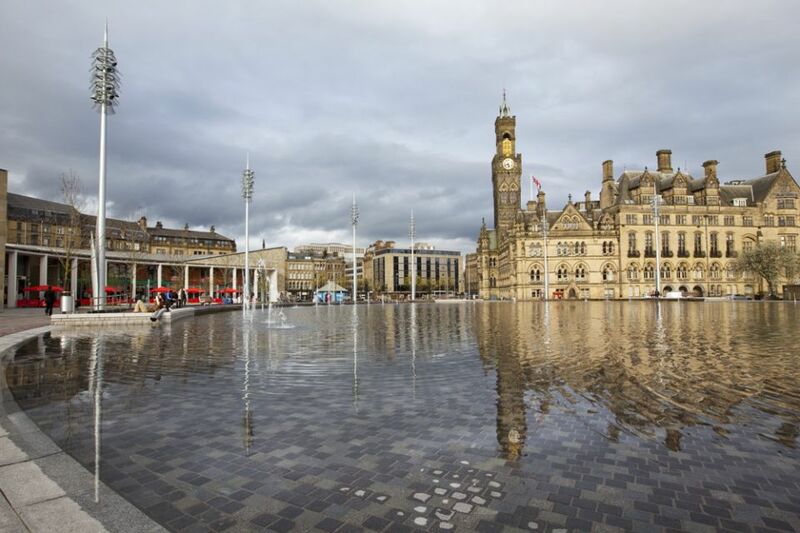 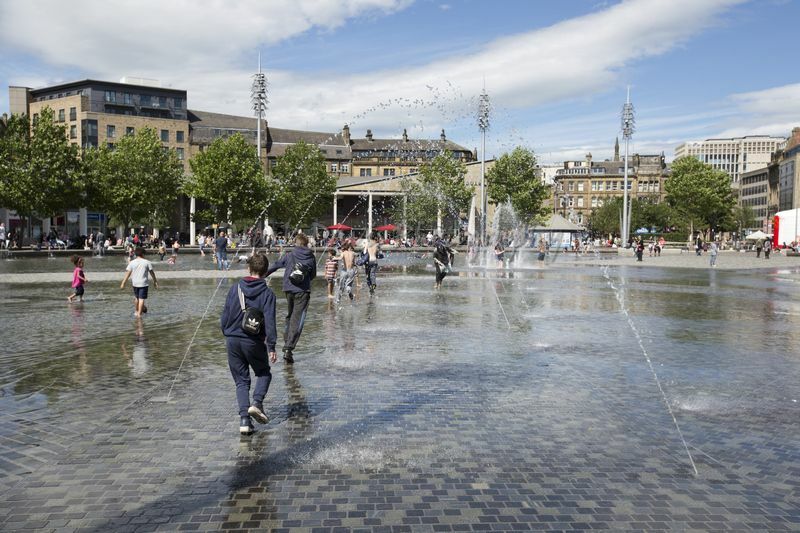 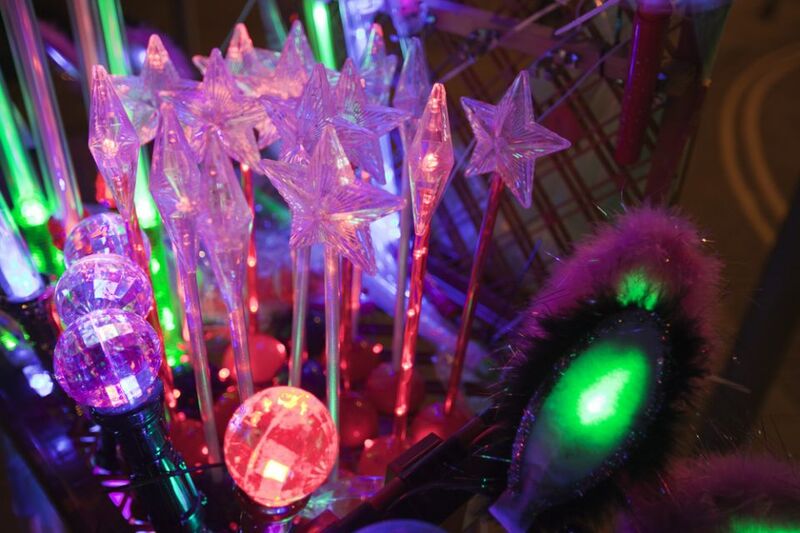 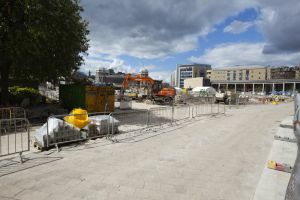 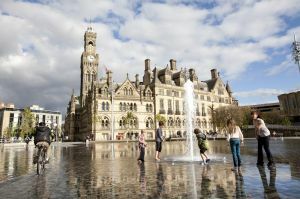 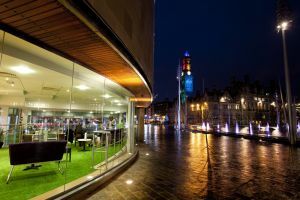 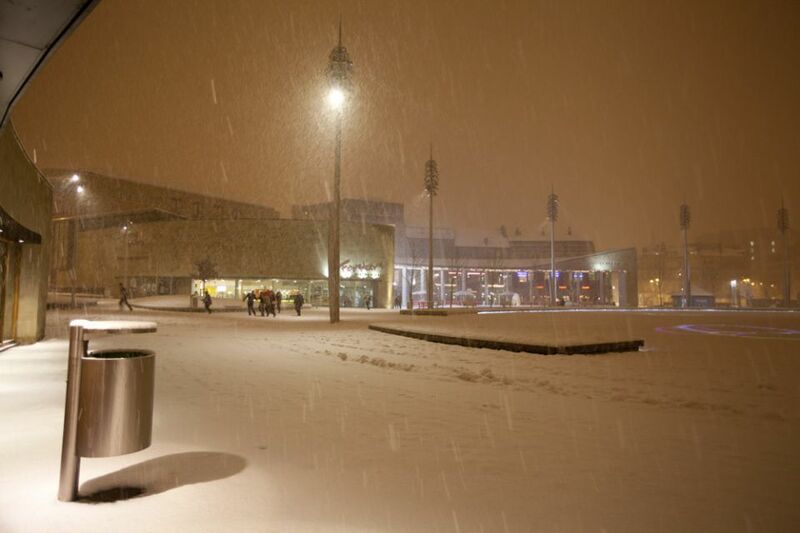 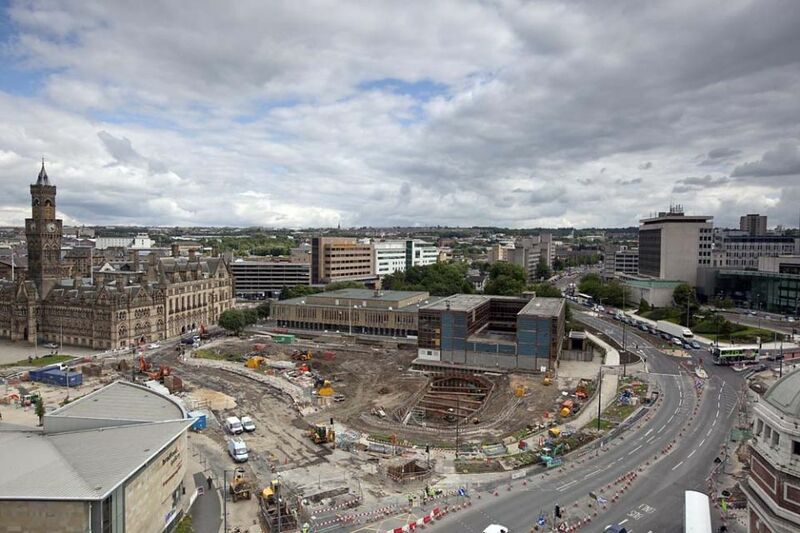 It is a critical part of Bradford’s regeneration and has been designed to bring jobs and prosperity to Bradford by attracting visitors and businesses into the district and helping to create the landscape for future investment. 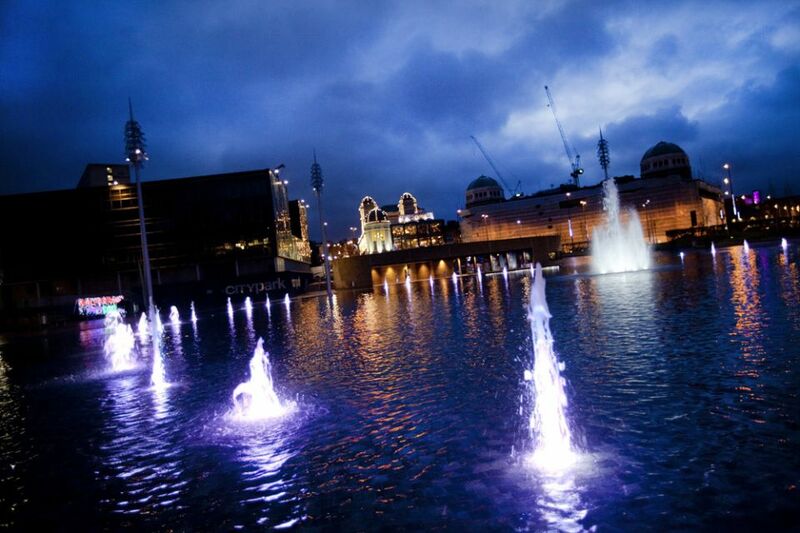 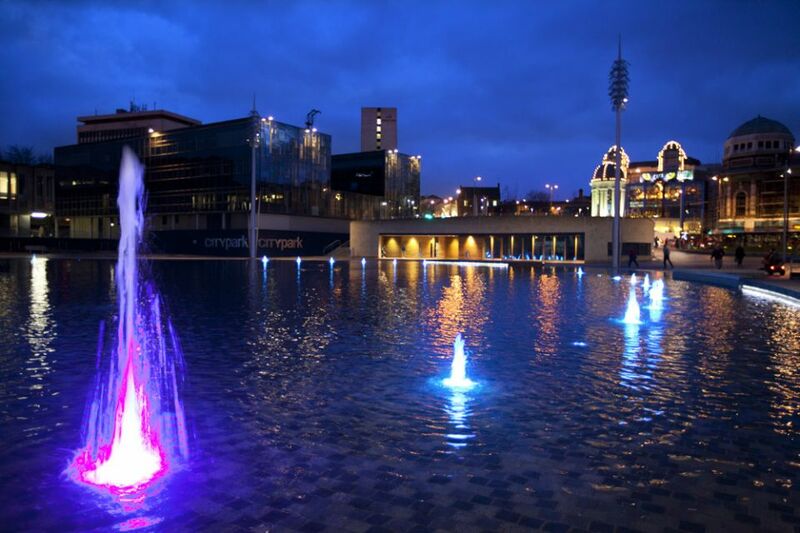 City Park’s 4,000sq m mirror pool features more than 100 fountains, including the tallest in any UK city at 30m (100ft), laser light projectors and mist effects. 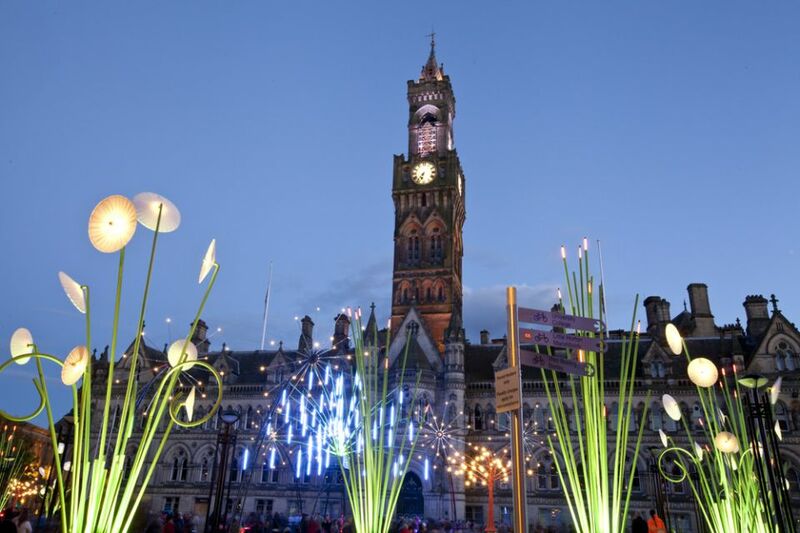 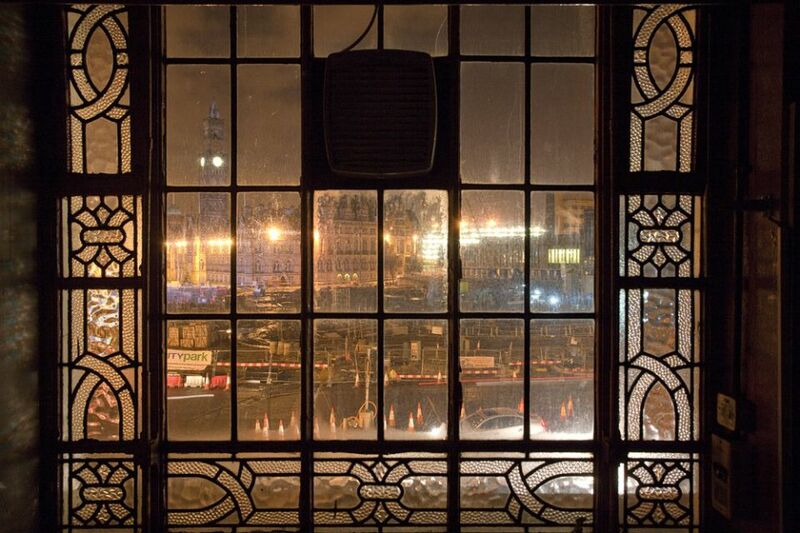 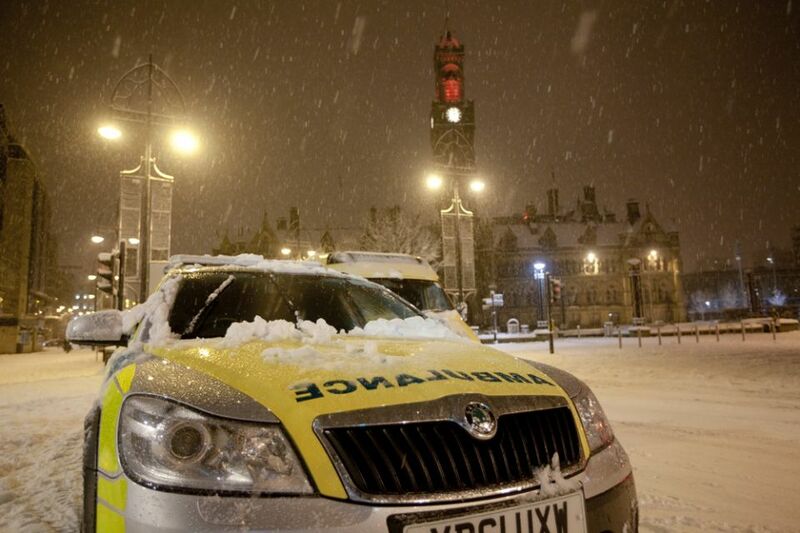 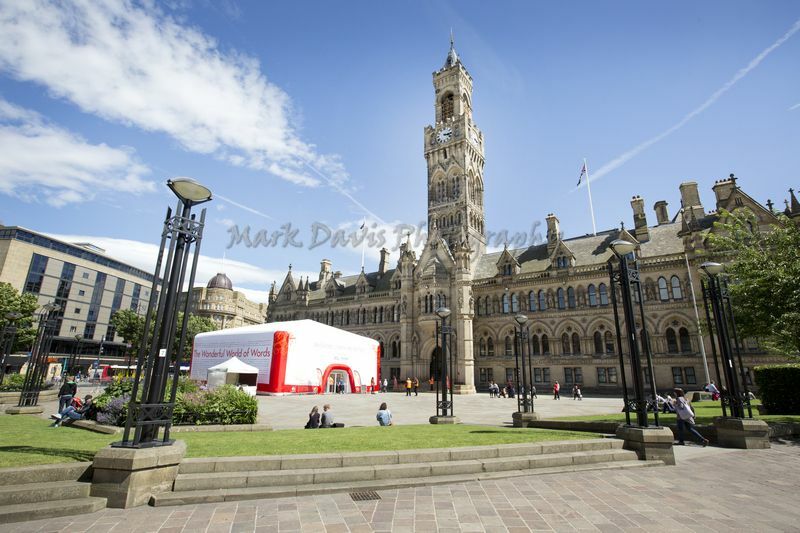 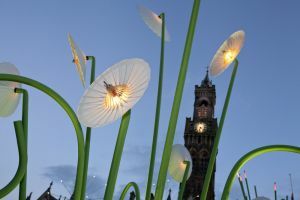 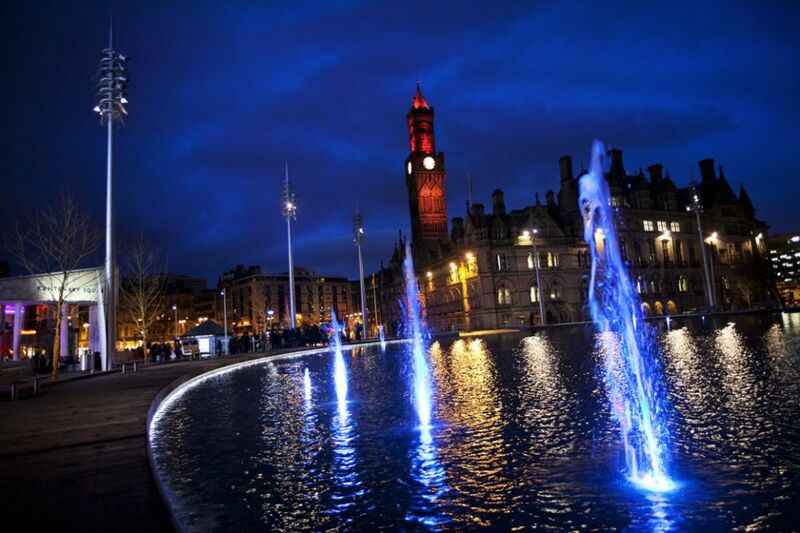 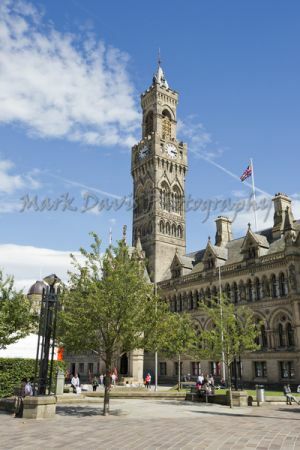 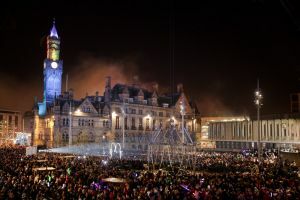 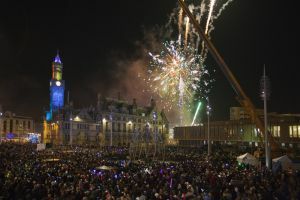 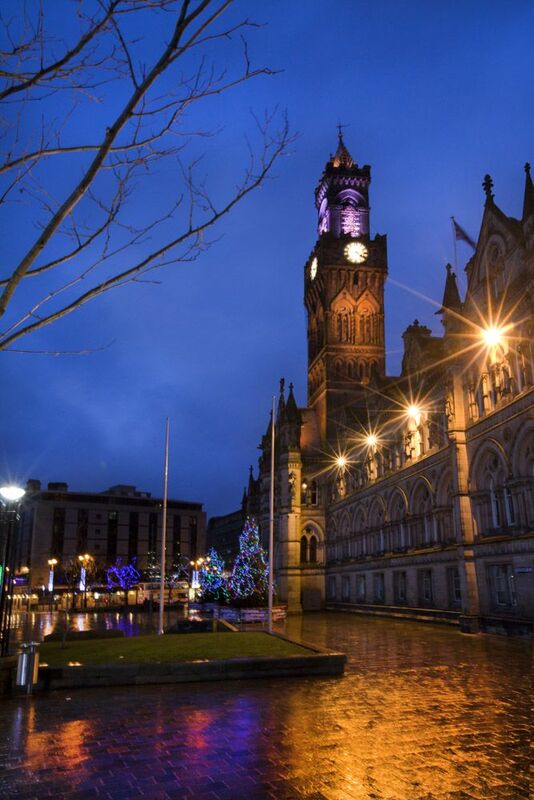 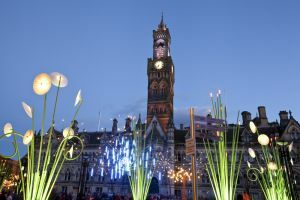 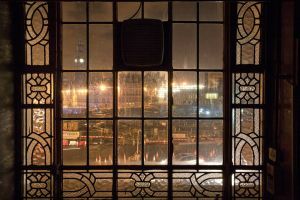 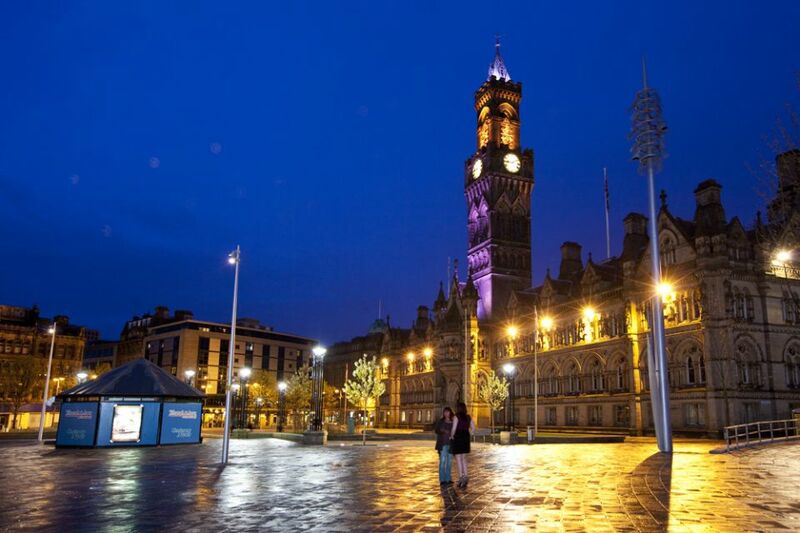 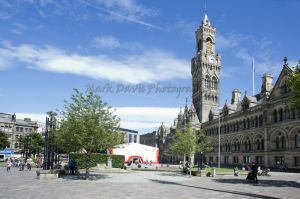 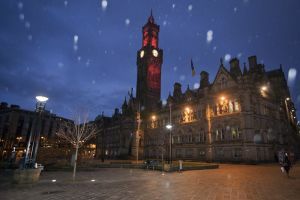 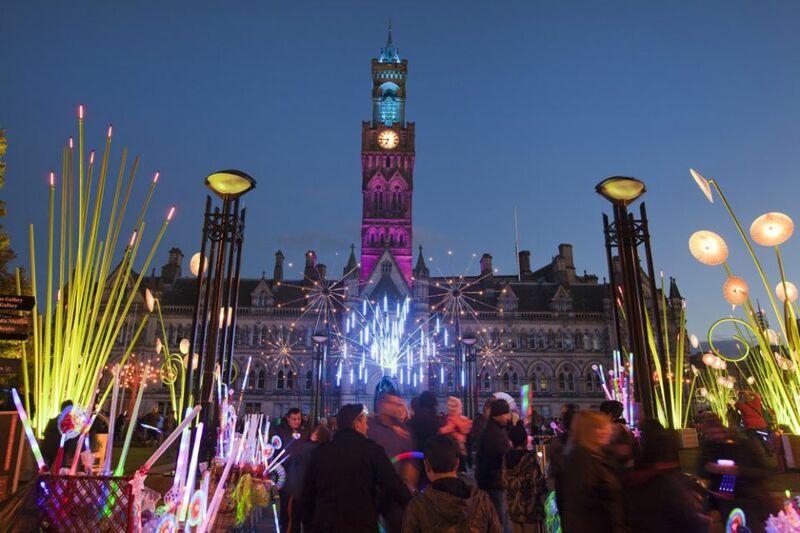 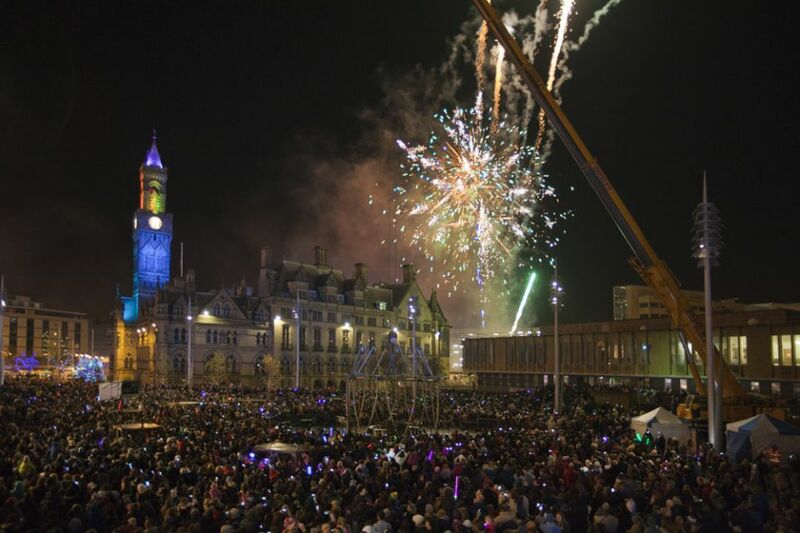 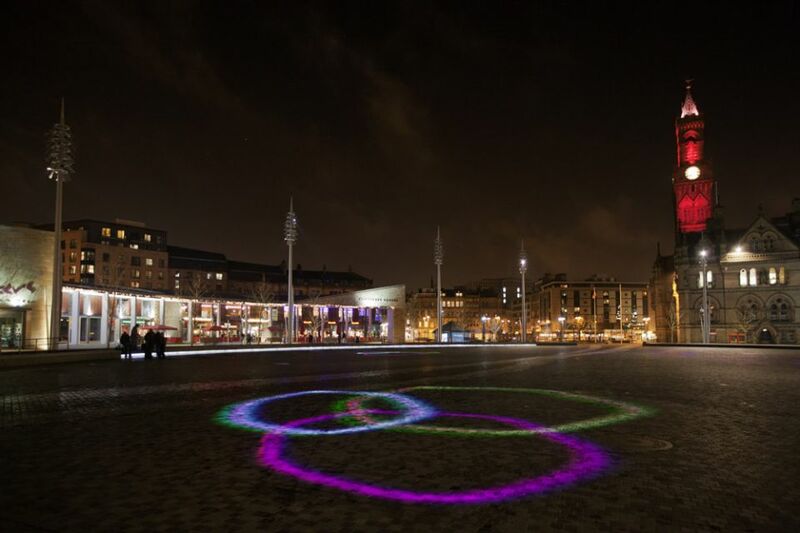 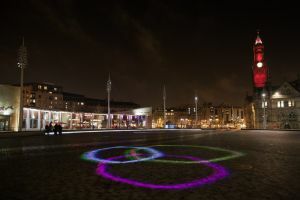 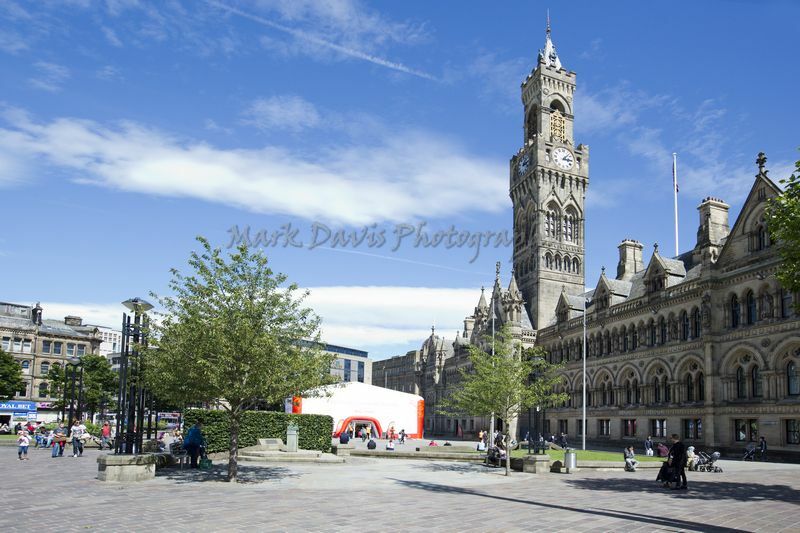 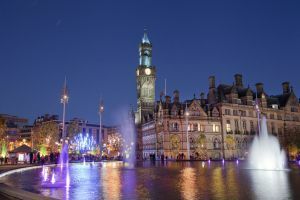 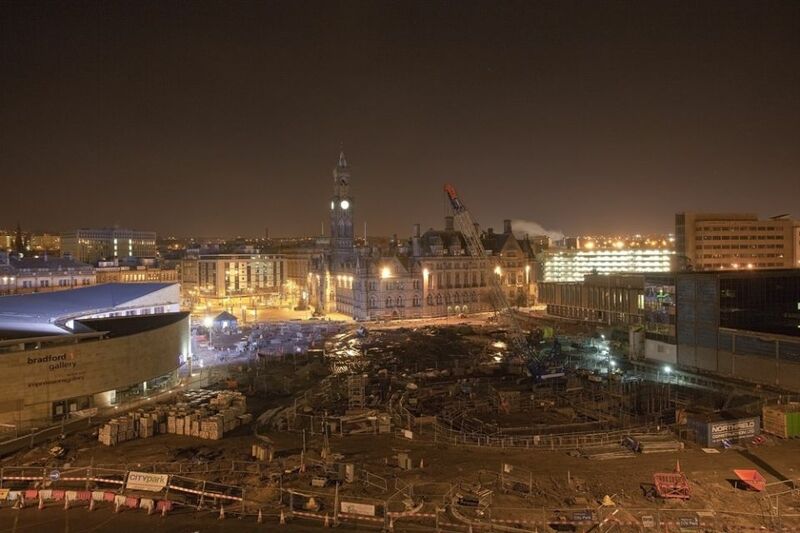 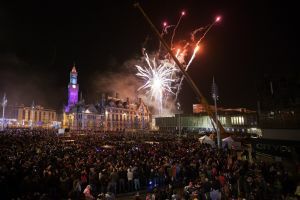 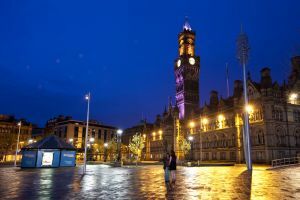 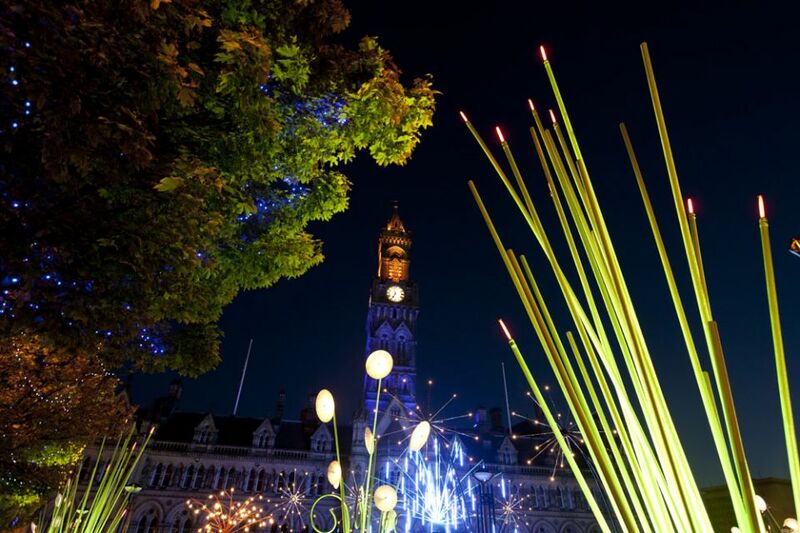 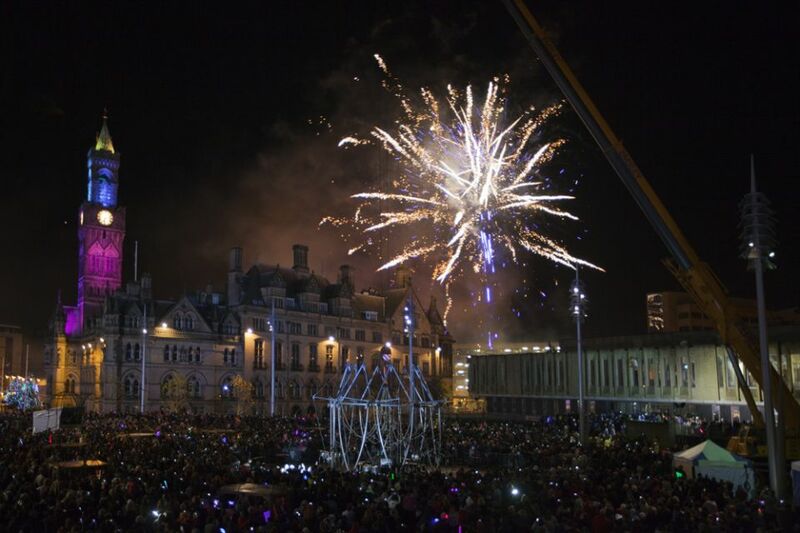 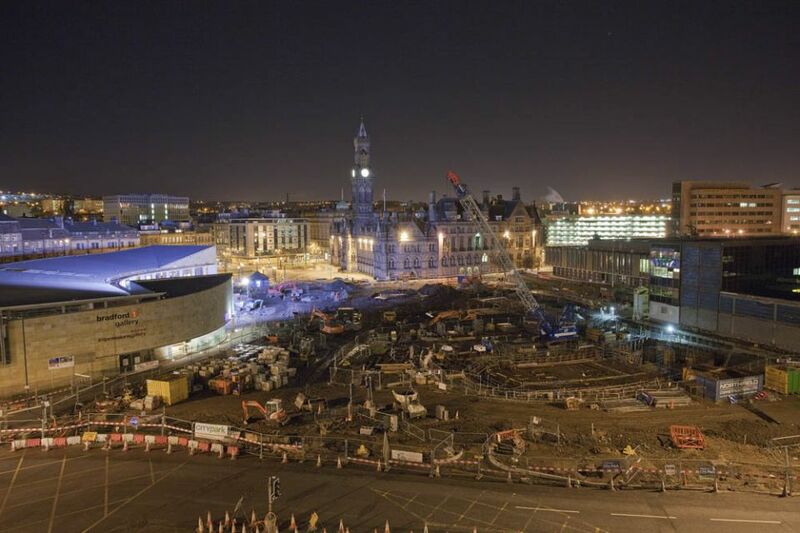 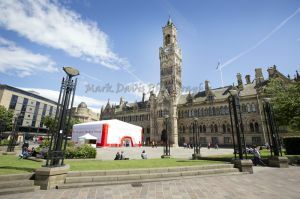 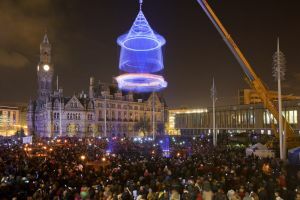 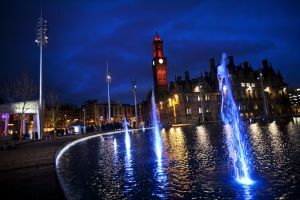 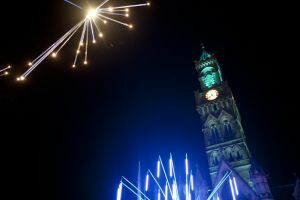 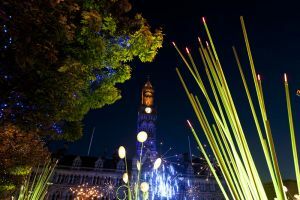 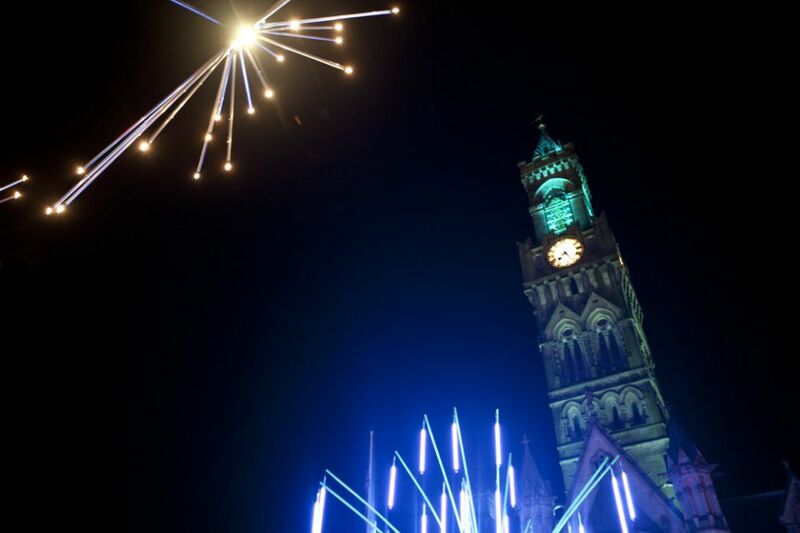 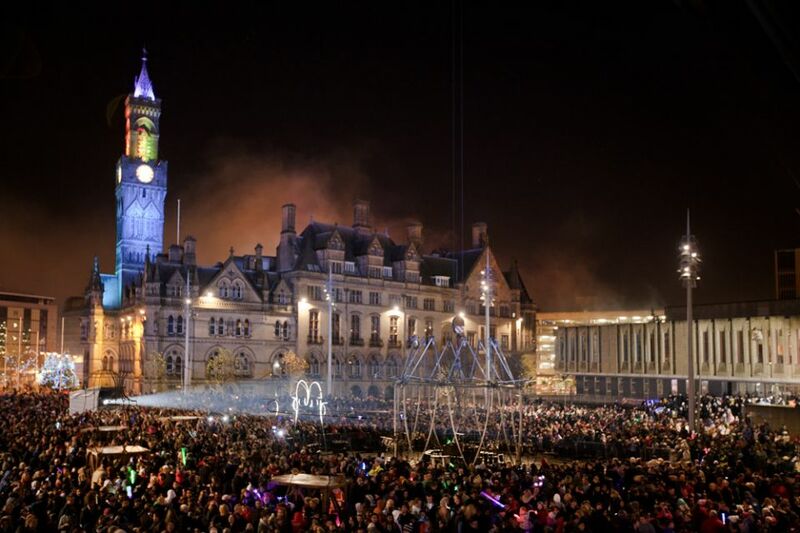 This unique feature reflects and showcases the Grade 1-listed City Hall and sets Bradford apart. 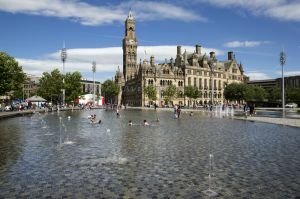 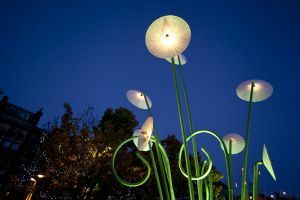 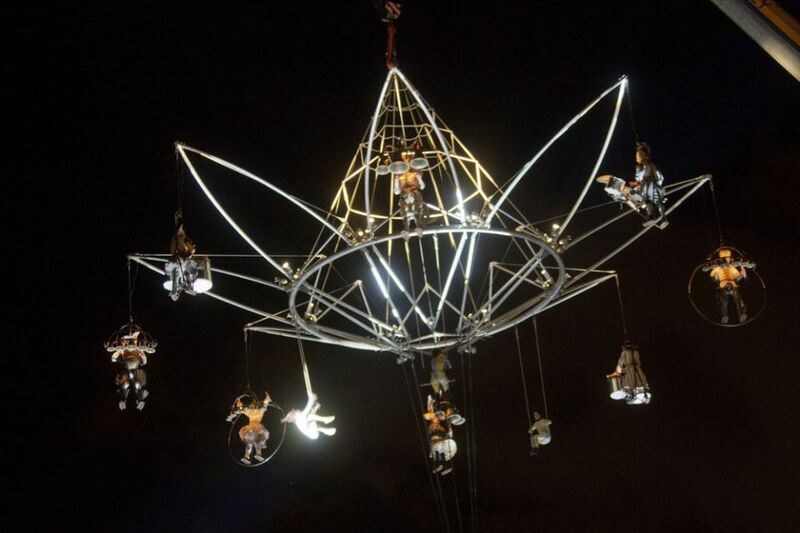 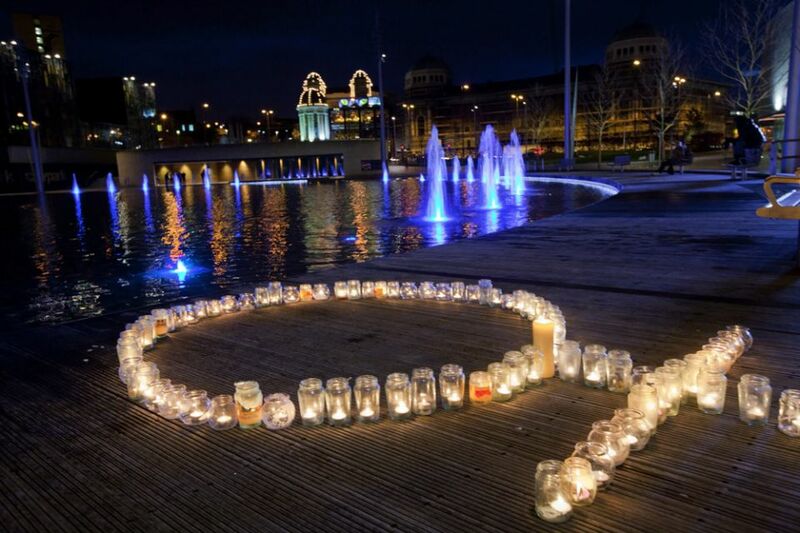 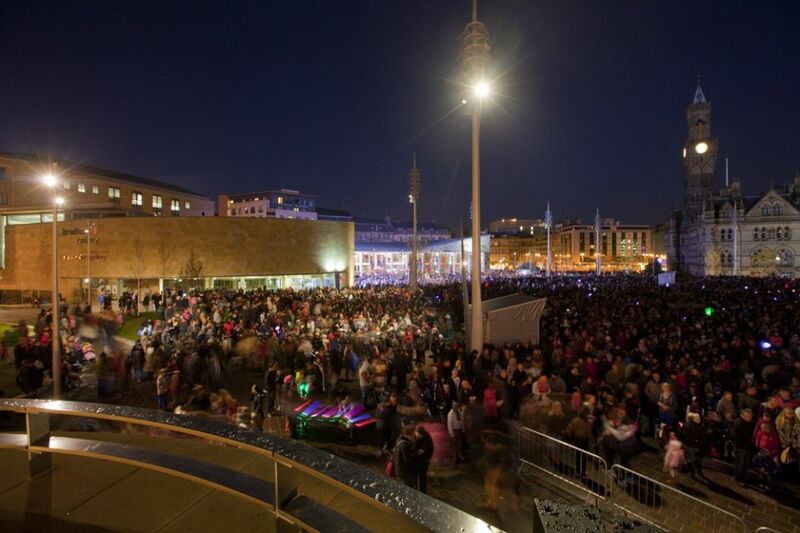 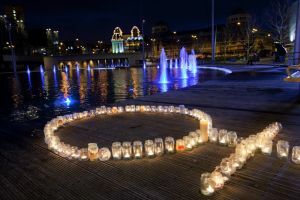 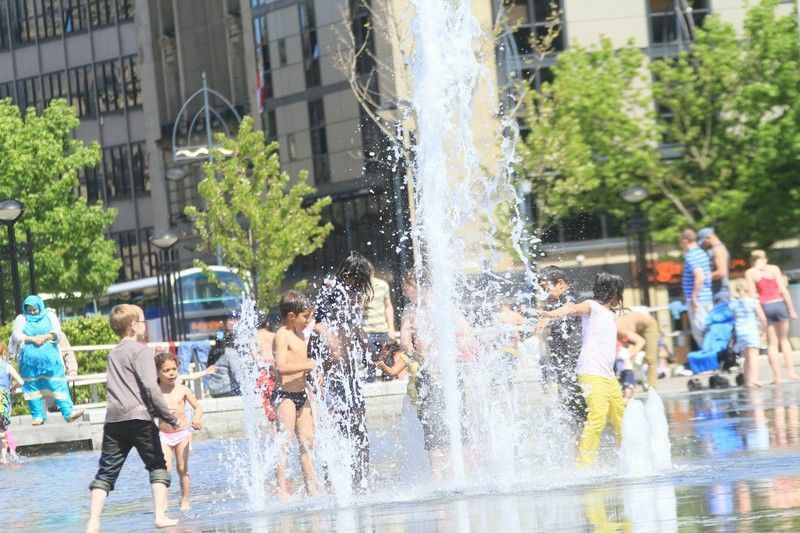 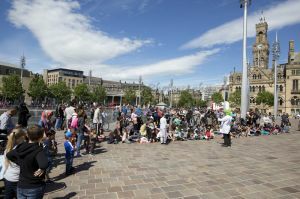 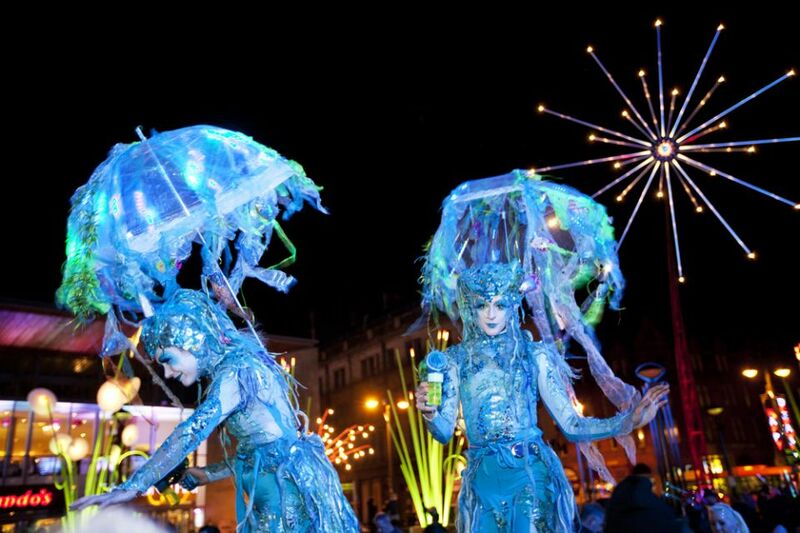 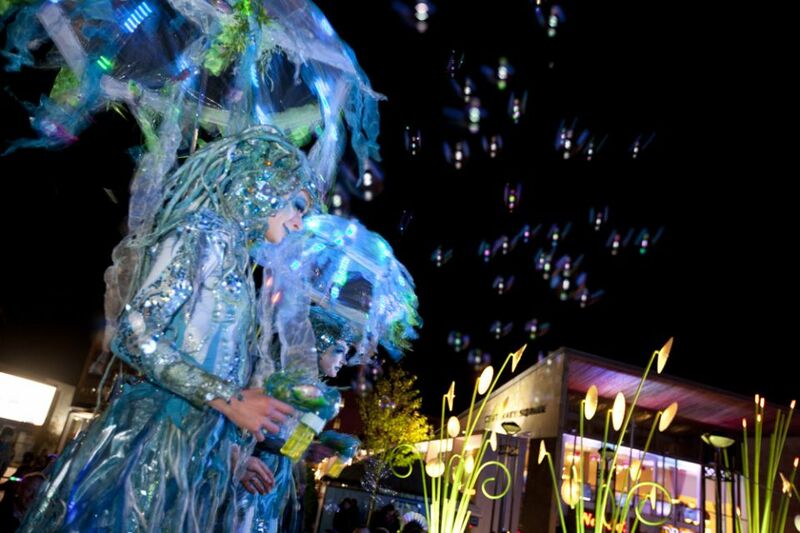 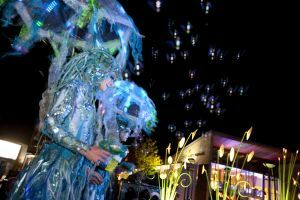 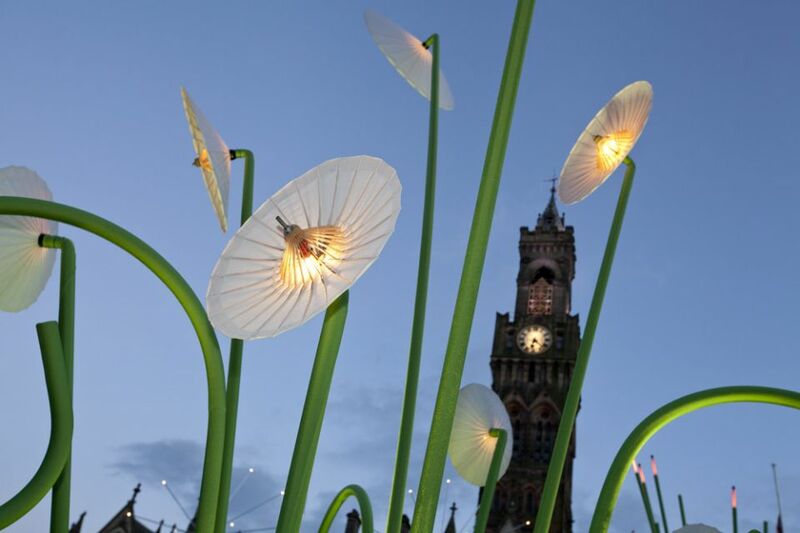 City Park, and the mirror pool in particular, is an adaptable environment which is capable of holding events such as carnivals, markets, theatre productions, screenings and community festivals.